You need four hugs a day just to start feeling good! Indeed the moment you feel an all embracing hug you can’t help but smile – you really can’t. It’s an automated emotional reaction. Whilst you don’t have the physical connection, smiling at someone is almost as laudable as giving a hug. If it seems inappropriate to actually approach someone and give them an enormous double-armed embrace or even a kiss on both cheeks, then do please give them a fervent grin. It will work equally as well. Let’s face it if we need four hugs a day then we probably need to send out a minimum of four smiles – don’t you think? The more smiles we give the more we will are likely to receive. 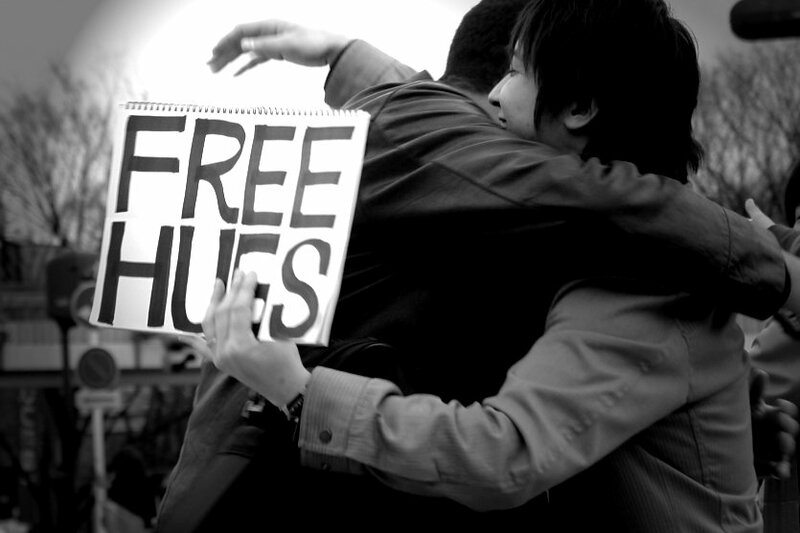 However, what happens if you are not in visible or physical contact and you only have your words to convey a hug! If, like me, you work remotely and want to inculcate your care – what do you say? Here are five of my favourites: they convey a certain erudite energy to your fond thoughts you are sending.  Work with me on this – give me your hand.  Hope you are doing well – do tell me.  We can only see stars when it’s dark – look up.  New friends await you – lucky them.  Whistles and bells – well done you. Will you share some word hugs that work for you? PS when you string a series of hugs together into one written communiqué it becomes a cuddle. Imagine the energy you generate from a cuddle! I’ve lost my place and now it can’t be found! I love working with you Laura, you brighten my day and my life. And I particularly like being your friend.